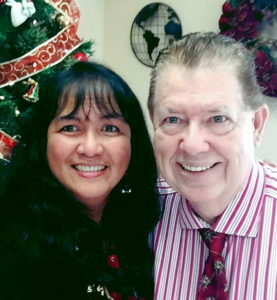 Pastor Jim MacInnes has been involved in ministry for over 40 years. He began his ministry as an assistant to Dr. Gerald Derstine, the founder of Gospel Crusade Ministerial Fellowship. He then worked with such speakers as Kathryn Kuhlman which opened the door for ministry in Sweden and Norway where he ended up staying for 24 years (21 years in Scandinavia and 3 years in Liverpool, England). Jim established the well-known Christian Center in Sweden called “Jutatorpet”. This work included a Conference Center, a publishing house, film ministry, Bible School, rehabilitation center, and a travelling ministry in Europe where literally thousands found Jesus Christ. Pastor Jim is the author of five books which include Freedom From Fear (dealing with fear in your life), A Song of Victory (a commentary on the Song of Deborah), A Worthy Sacrifice (Lessons from the Book of Malachi), Jutatorpet (an account on Swedish Revival), Preparation for Victory (Lessons about the life of Joshua on leadership). Pastor Joy is from the Philippines. She was a practicing dentist and a professor in the College of Dentistry of the Davao Medical School Foundation. She headed the Prosthodontic Department for many years. Joy has been involved with numerous short-tem medical missions, reaching out to the tribal areas in Mindanao, and other asian countries like Laos, Burma, Thailand, and the areas along the Vietnam and Cambodian borders. Pastor Joy is a gifted Worship leader with a heart of bringing people to a new and deeper level of intimacy with God througn worship. She is passionate in encouraging others and helping them discover who they are in Christ.